Home Articles 2012 IFBB Tampa PBW Championships: Final Results & Galleries! 2012 IFBB Tampa PBW Championships: Final Results & Galleries! 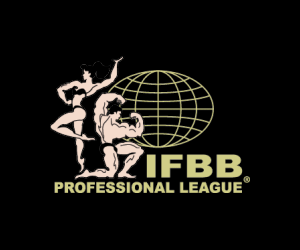 Shawn Rhoden, Nicole Nagrani, Sarah Hayes, Ann Titone and Nola Trimble all won their respective divisions at the 2012 IFBB Tampa Pro Bodybuilding Weekly Championships on Saturday night. The event, one of the biggest left on the IFBB calendar before the Olympia, featured over 100 pro competitors across the five divisions. See all of the photos here! 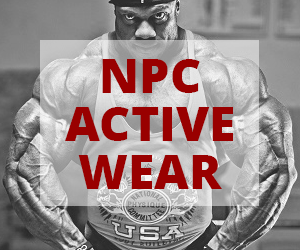 Shawn Rhoden has displayed one of the most aesthetically-pleasing physiques in the IFBB since he turned pro by winning the Overall at the 2009 IFBB North Americans. In Tampa, Rhoden brought added size and the best conditioning of his career to match those aesthetics, and the result was the first pro win of his career. Rhoden’s career has been on the rise since last year’s Olympia, when he placed just outside the top 10 in 11th place in what was – at that point in time – the best outing of his career. He wasn’t as impressive to start the 2012 season, placing 4th at the FLEX Pro and 8th at the Arnold – but time off after that and surgery to remove his hernia proved to be a recipe for success. Toney Freeman, competing for the first this season, was impressive in giving Rhoden all he could handle before finishing as the runner-up. With his 46th birthday coming up later this month Freeman’s days of cracking the top five at the Olympia are likely in his rear view mirror, but the X-Man – who won the Tampa Pro in 2008 – continues to defy Father Time and show he isn’t ready to step aside for the next generation just yet. Hidetada Yamagishi placed third in his 2012 debut, while Roelly Winklaar finished fourth. See all of the Men’s Bodybuilding photos here! With Olympia and Bikini International titles under her belt, Nicole Nagrani was already one of the most decorated athletes in the short history of the Bikini division before she turned 20 years old. And while she’s still splitting her time as a professional Bikini competitor and a full-time college student, Nagrani added to that impressive resume on Saturday night by defending the title she won as a rookie in 2010. Midway through her third year in the IFBB, Nagrani has been one of the most consistent competitors in all of the IFBB, never placing out of the top three in any of her six profession contests. Marcela Tribin placed second while Diana Graham finished third. See all of the Bikini photos here! Ann Titone displayed her best look to date and she was rewarded with the first pro win of her career. Titone came in slightly softer and with noticeably less muscle than she had in the past, and earned a qualification to the Figure Olympia for the second straight year. Mallory Halderman, competing for the first time as a pro after winning the overall at the NPC Jr. Nationals in June, placed second while Gennifer Strobo placed third. See all of the Figure photos here! Sarah Hayes has undergone quite a dramatic transformation since she won the Heavyweight and Overall titles at the 2010 NPC USA Championships. Undersized and not as conditioned during her first year as a pro, Hayes struggled to adjust to the IFBB. Those struggles ended this year, however, as Hayes notched the first win of her career and her second top five finish of the season in the last Women’s Bodybuilding event before the Olympia. Sheila Bleck placed second, earning four points in the Olympia Qualification Series and moving into a tie with Helle Nielsen for the fifth and final spot in the standings. Canada’s Janeen Lankowski rounded out the top three. See all of the Women’s Bodybuilding photos here! Nola Trimble joined Sarah Hurrle as the only competitors with multiple IFBB wins in the newly-formed Women’s Physique division. Trimble, who won the Chicago Pro in July, has now won the last two IFBB Women’s Physique contests. Mikaila Soto and Jennifer Robinson placed second and third, respectively. See all of the Women’s Physique photos here! Next articleAround the NPC/IFBB: 2012 Tampa PBW Saturday Photos!